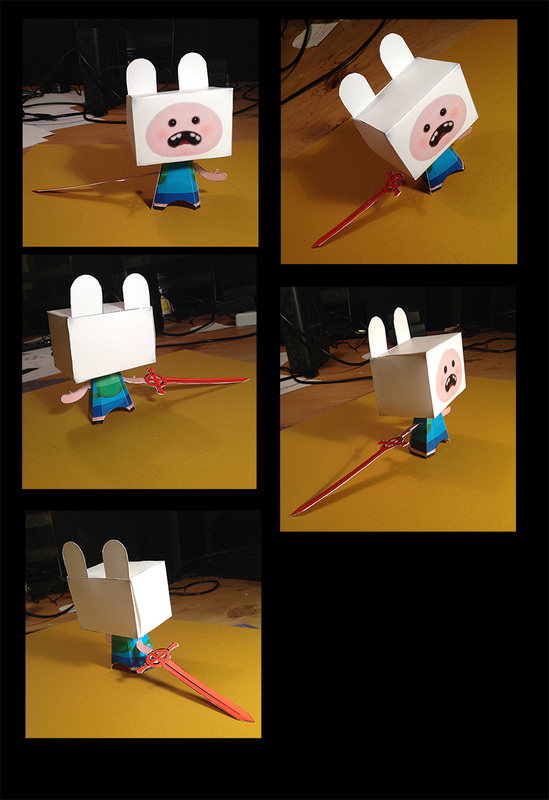 I designed a paper craft Finn, from the bafflingly great kid’s show Adventure Time! Well, I designed the image on a pre-existing template is a more accurate way to put it. That’s not as exciting an opening sentence though. This was actually for school, so I can count it among my favorite assignments! I’ve provided the printable template below so that you can make your very own paper craft Finn, which you definitely shouldn’t do as it’s very time-consuming. Unless you are a fan of cutting things out of paper with an exacto-knife, and scoring folds with an exacto-knife, and gluing things in the right order. SCORE: A microcosm of universes trapped inside a forbidden book.